I pretend that what goes on here matters to others. My latest dilemma concerns Asbury United Methodist church, a 1919 building fronting the courthouse square (actually, the courthouse irregular pentagon), an example of the Akron-Auditorium plan, possibly among the very last ever built. Architects for the design were Liebbe, Nourse & Rasmussen of Des Moines (a real firm), there being no resident architect in Agincourt at the time. The design is, if I can be immodest, not bad. There are still a couple glitches that need to be worked out but I have the matter in hand and will modify the plan some time very soon. In the last couple months, my biggest concern was in elevation, not in plan. I spend far too much time in the former and believe naively that elevations will work out in the long run. this means, of course, that I put them off until it was too late; they resolutely refused to resolve themselves. 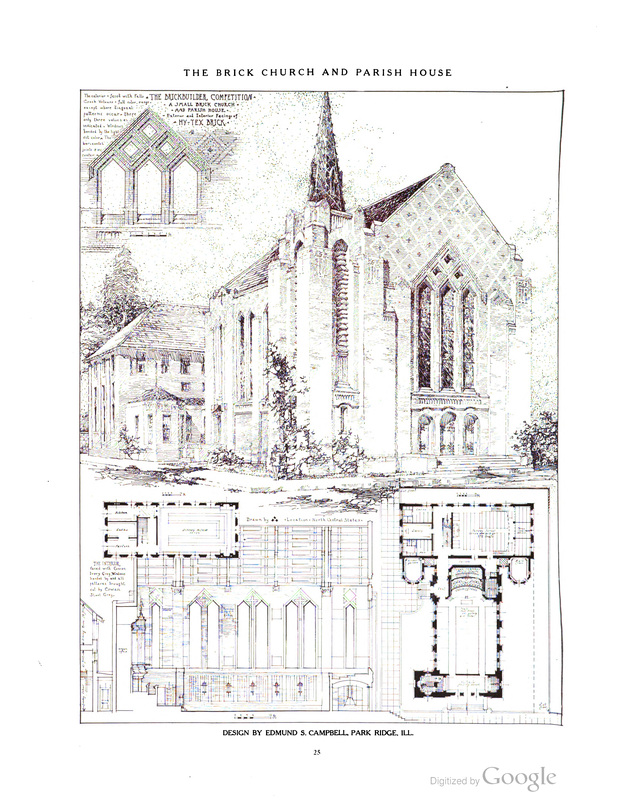 I scrounged everywhere I could for inspiration: what would a Midwestern Gothic Revival design look like, especially if brick and terra cotta were the predominant materials? Nothing on the interweb was forthcoming—until late last week. Serendipity plays an exceptionally strong part in the development of this project, as it did last Thursday. Searching for something completely different, I stumbled on a book I’ve know for more than forty years; there was a copy on the shelves of the Architecture Library at OU. 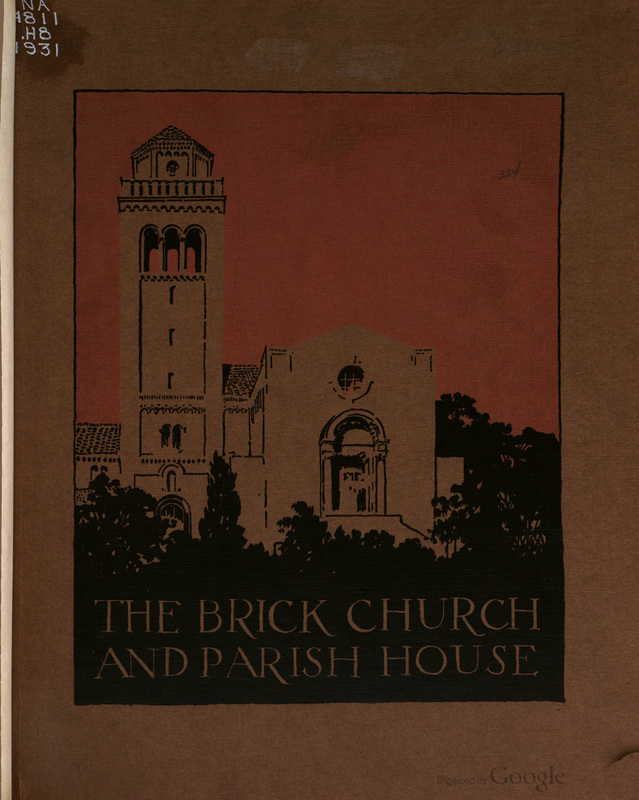 It documents a competition sponsored by the Hydraulic Press Brick company to promote their products, and sought designs from architects for “The Brick Church and Parish House”. The date is 1915, which puts more than thirty examples at my fingertips to see what was on the minds of relatively Progressive designers at the very time I was working. The one that caught my eye is by Edmund S. Campbell of Park Ridge, IL—about whose career I know bupkis. This is still way too orthodox for an A-A church—which it is, but only in the most remote way. But it does put me on a path that is relatively comfortable and strewn with fewer obstacles. By agincourtiowa in Uncategorized on Saturday/23/June/2018 .